They say that you shouldn’t judge a book by it’s cover, and maybe that’s true in the vast majority of cases. However, when it comes to home, there’s an awful lot about what you see on the outside that tells you about what’s happening on the inside. This is why having a gorgeous home exterior is so important. As everyone knows, curb appeal can sometimes be everything. 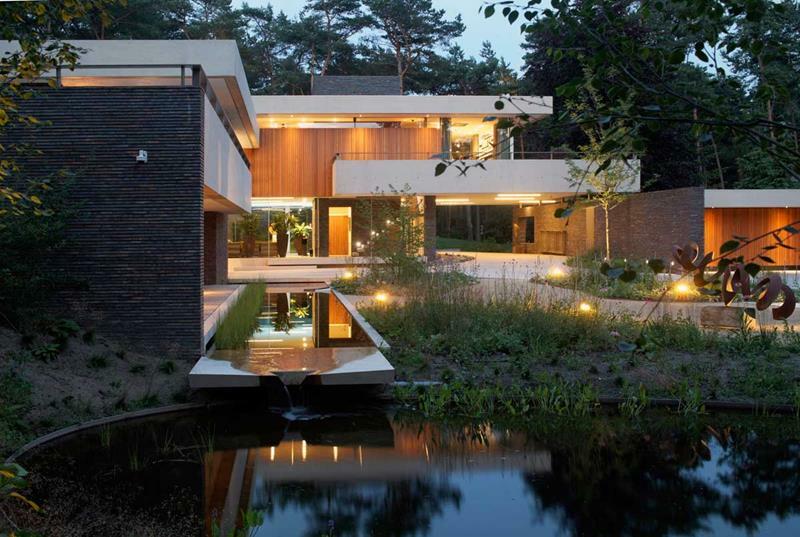 In the 15 examples of gorgeous home exteriors that follow, you’ll see it all. From gorgeous brick colonials to stunning contemporary homes, we’ve found some of the most beautiful home exteriors in the world. Simply put, if you’re looking for inspiration when it comes to the design of your home’s exterior, you’ll find plenty of it here! With a bold white exterior, this home makes itself a real standout thanks to its beautiful lines and the gorgeous white and black stone used on the front steps and patio. Situated on a small lot, this home makes a bold display by playing with height and swooping lines. The effect is gorgeous! 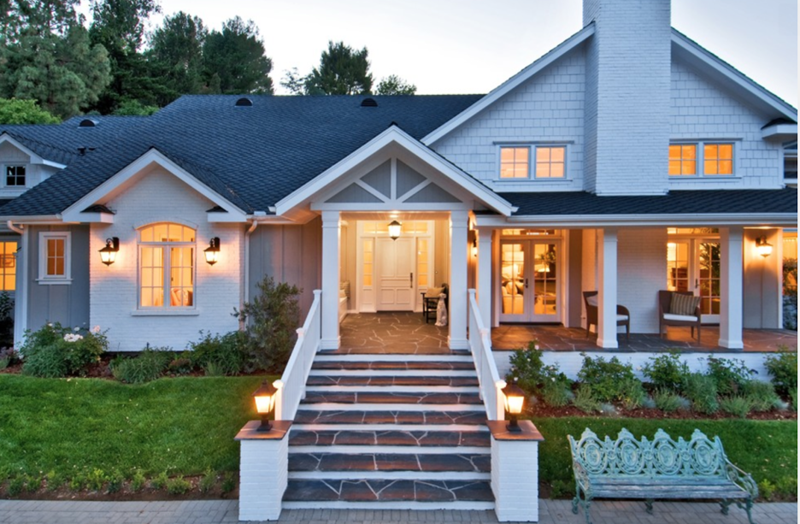 The white detailing on this home which features a dark exterior is exquisite. What really makes it work, though, is the grand entrance created around the front door. The stone exterior of this home is patently luxurious. 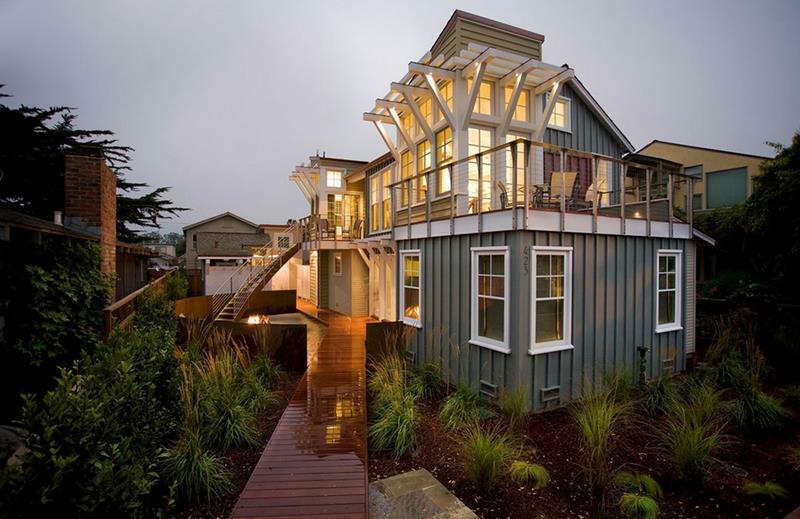 But what really makes this home exterior design work is the symmetrical styling. 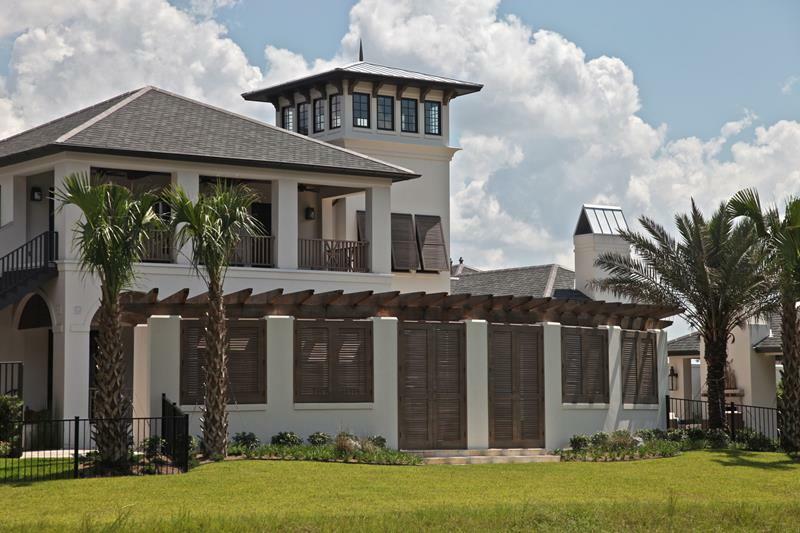 There’s a lot to love about the design of this home’s exterior, but the real standout is the beautiful fence in front, with shutters and French doors.